The Only Place Where You Can "Eat" Alcohol. While this claim is not entirely true, considering there are plenty of places in Jakarta that also infuse alcohol in their menu, I’d alter that into something like this: “The only place where you can “eat” good alcohol. Why? 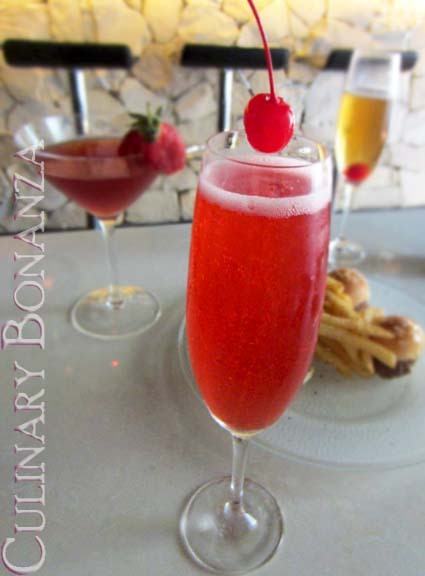 What makes Alcoholics Bar & Grill different is 99% of the food menu contains alcohol, and the alcohol used is not only the classic red or white wine or malt beer. You can find such as Jack Daniels, Guinness, tequila, brandy, vodka, etc. infused in your food. The only thing that’s alcohol-free is the Potato Wedges (Rp 25,000). But no, don’t expect to get drunk from eating the food, because most of the alcohol evaporates upon cooking. 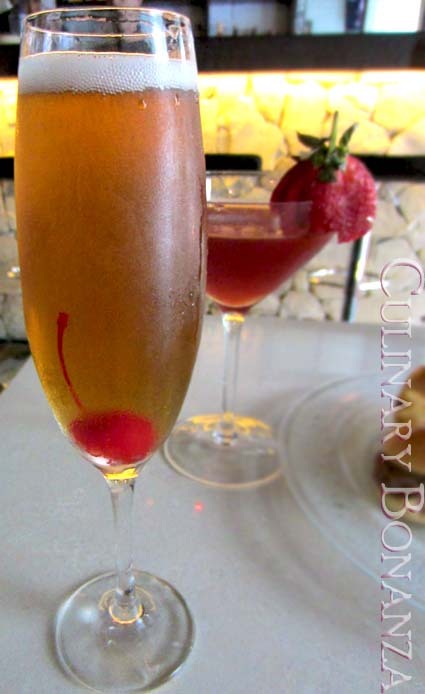 The alcohol simply adds richer scent and flavor to the food. 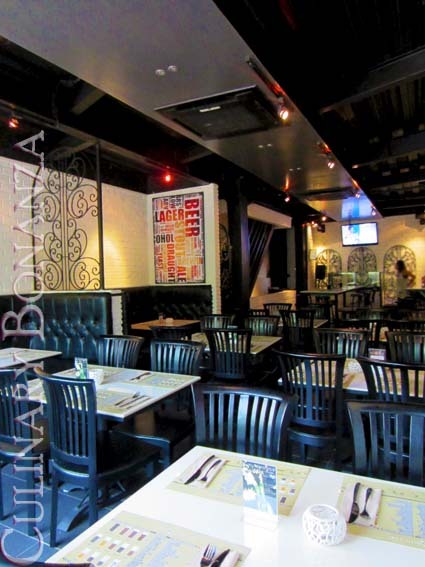 Al Bar positions itself as a bar & grill establishment, so you can expect to be served good quality steaks. 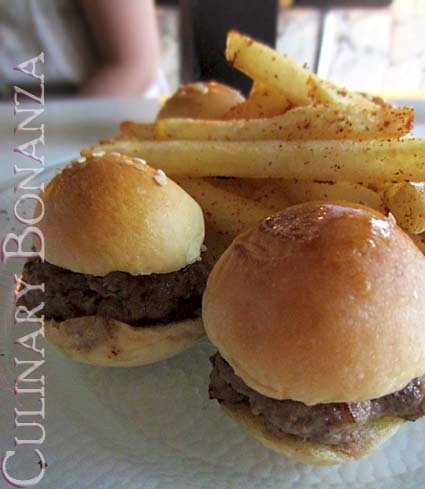 I have yet tried the steaks, but I can vouch that they make awesome beef patties, such as which you can find on its signature menu: the Guiness Mini Burger (Rp 60,000). This exquisite bar snack is great to be served along with your beer. The burger tasted so juicy and succulent and the portion is just right. Viva bite size! 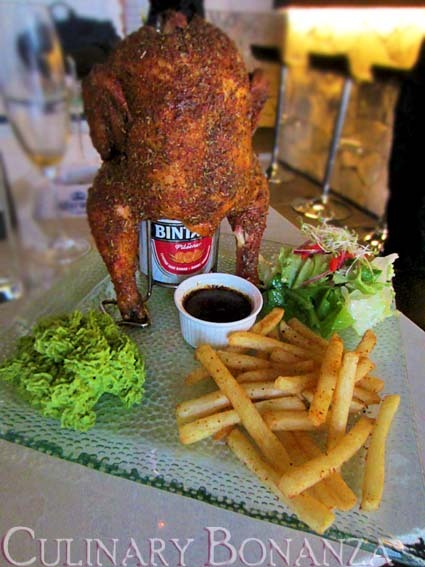 Another signature item is the Beer Can Chicken (Rp 180,000) -- which takes 1.5 hours to cook! 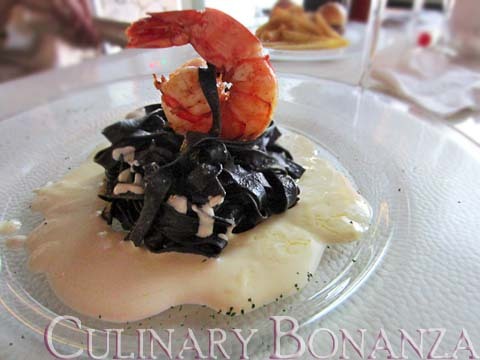 It would be wise to call and make a reservation if you’d like to have this served upon arrival. The beer is slowly roasted with the whole chicken, resulting in delicate beer scent seeping all the way to the bones. 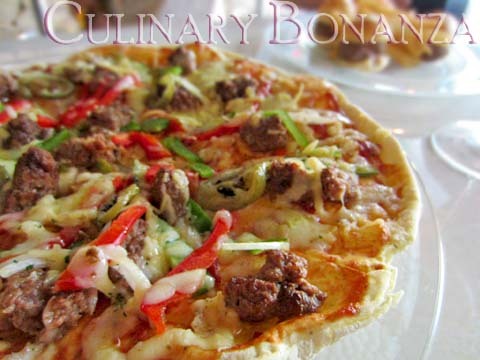 The Southern Comfort (Rp 45,000), a crispy thin crust pizza is also worth trying, especially if you like spicy stuff. The Alcoholics Cocktails Coffee was rather disappointing. The coffee and liquer was neither here nor there, kinda hanging in the air. I was recommended to try the Black Velvet, but it was rather sour and strong to my liking, but I liked the other recommendation: Pick Me Up, a sweet crimson sparkling cocktail with refreshing lemon tang. 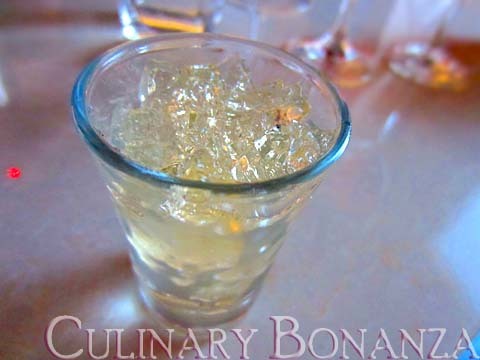 And the best way to end the meal is with the Champagne jelly. It's gelatine infused with champagne to give you subtle flavour. Like drinking champagne in the solid form! Alcoholics Bar & Grill is located inside the Kemang 72 complex (the same area where you can find Koi Gallery and Anomali Coffee, Kemang). Parking may be quite challenging, especially if the complex is packed. *) This article has been previously published on The Jakarta Globe Blogs, Life Lived, on 9 June 2012.